Family Solutions & Wellness Center | Strong relationships are those with a lot of wealth... emotional wealth that is. Do you feel like your marriage is struggling? Do you feel disconnected, unhappy, or unloved? Researchers Julie and John Gottman have found that marriages on the brinks are often in debt, whereas strong relationships have a lot of wealth. They aren’t talking about money, but rather emotions, leading them to focus on a couple’s Emotional Bank Account. In this short video, they explain what they mean by this. 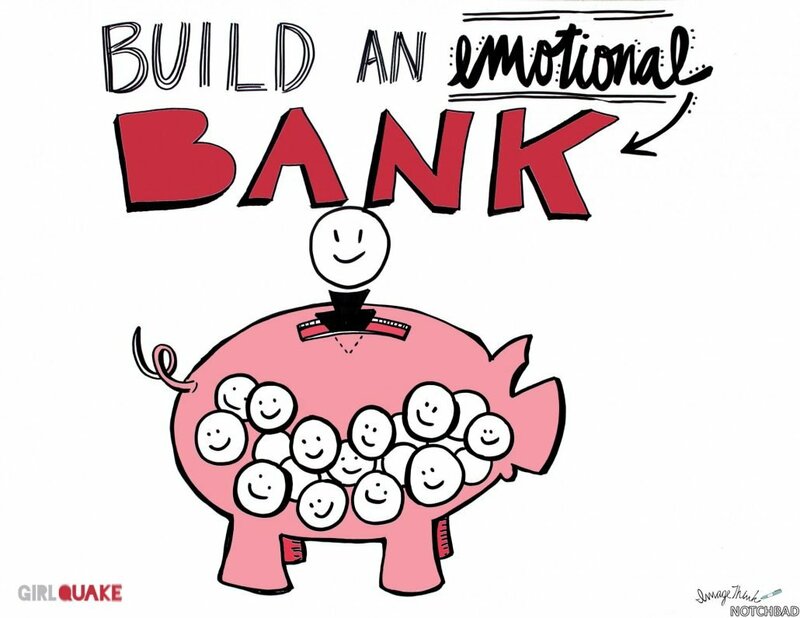 To put it simply, each day we have opportunities to put deposits into our emotional bank account but we also have moments where withdrawals are made. Withdrawals can include angry words, cruel jokes, not listening, excluding/ignoring, unkindness, breaking promises, keeping to yourself, gossiping and breaking confidence, setting false expectations, disloyalty, and arrogance. So how do you make sure you have a strong relationship? You make deposits, often and intentionally. In fact, the Gottman’s say that you need at least 5 positives for every one negative to balance your books. So what constitutes a deposit? Deposits can be expressing understanding, making apologies, paying attention to little things, keeping commitments, showing consideration, setting clear expectations and honoring expectations, showing thoughtfulness and courtesy, being loyal, and doing small acts of kindness. What’s one way you’ve made a deposit today? If your relationship is struggling, please feel free to reach out to one of our therapists to help get things going on the right track again!